Fluctuating gas prices, advancements in battery technology, environmental concerns and federal incentives all have led to an increased interest in electric vehicles (EVs). As your electricity provider, Idaho Power is preparing for accelerated consumer adoption of EVs and wants to help our customers better understand the technology. EV Incentive Opportunities. Explore the benefits of driving an EV. Get the facts about charging EVs. Calculate how much can you can potentially save driving an EV. Check out and compare different makes and models. Find out about available tax credits and incentives. Find EV charging stations near you. Get details about the benefits of providing EV charging at your business. Idaho Power’s leading the way. 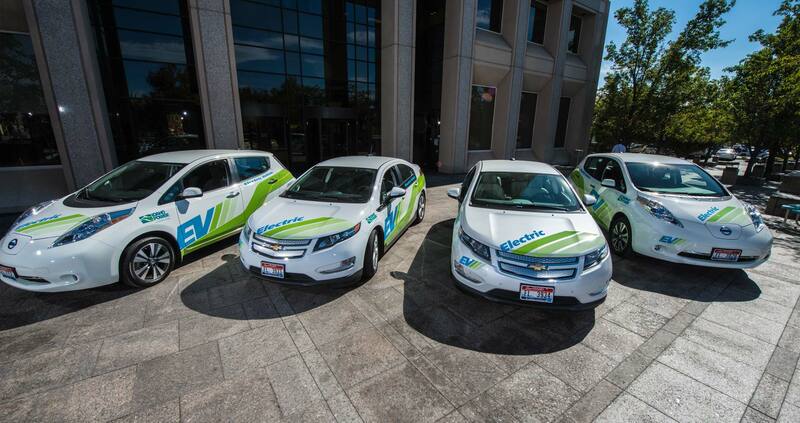 To get familiar with the technology, Idaho Power has added several passenger EVs to our fleet, as well as hybrid-electric bucket trucks, electric utility vehicles and battery-assisted trucks. We also installed five charging stations of varying makes and models at our downtown Boise office. Email ev@idahopower.com to request information or schedule a visit. We’re encouraging EV owners to consider Idaho Power’s Time of Day pricing plan instead of the Standard plan. The Time of Day plan has lower prices weekdays after 9 p.m., and all day weekends and holidays. This option could save you money and, by charging during off hours, you’ll help even out demand on the power grid.